Enjoy the top 1 famous quotes, sayings and quotations by Christine Stewart. 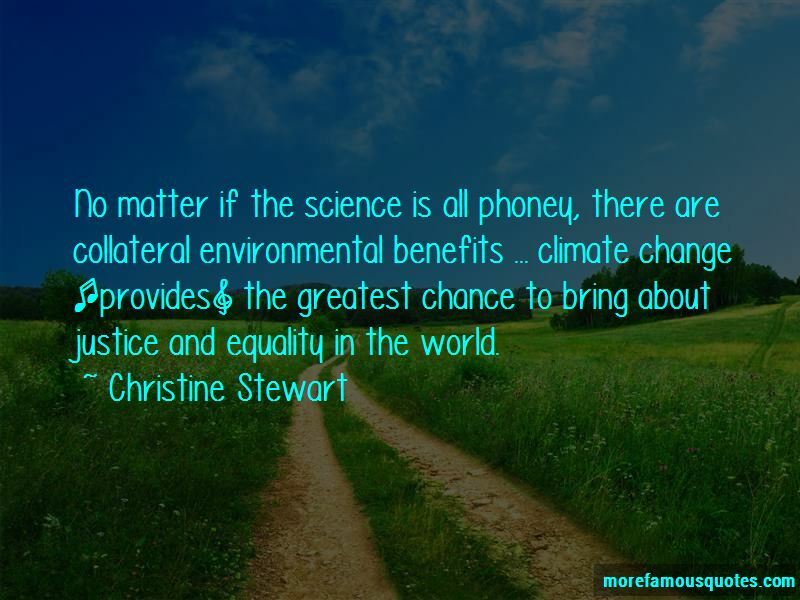 No matter if the science is all phoney, there are collateral environmental benefits ... climate change [provides] the greatest chance to bring about justice and equality in the world. Want to see more pictures of Christine Stewart quotes? Click on image of Christine Stewart quotes to view full size.